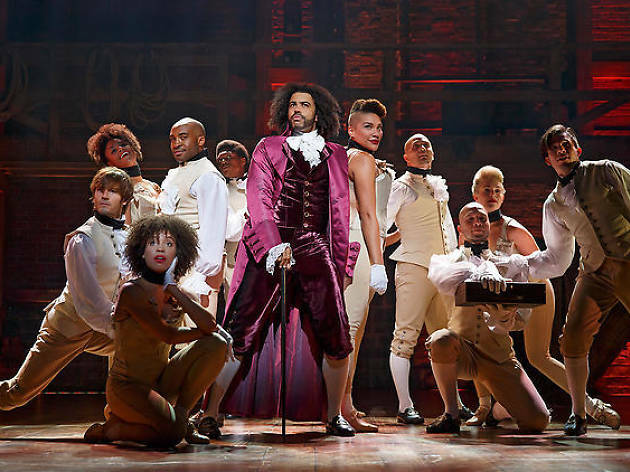 Feeling sad that you still can’t score tickets to Broadway hip-hop musical Hamilton? Chin up! Thanks to Bloomingdale’s, everyone can experience the show—by purchasing the musical’s awesome memorabilia, of course. Bloomingdale’s recently announced that the department store is partnering with the musical by selling the show’s merchandise via pop-up shops inside the 59th St and Soho locations. 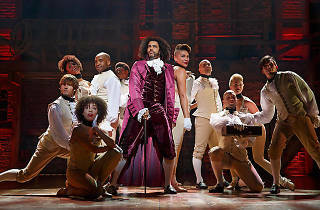 Unless you hit the jackpot for the Hamilton lottery, this might be as close to the Broadway spectacular as you’re going to get. Prices range from $19 for water bottles to $70 for hoodies, so go ham on some swag, and then lie to your friends and family by telling them that you’ve seen the most hyped-about musical of the season. Y'know to boost your New York street cred? Check out the goods below!